What it is: At SXSW this week, Peter Diamandis and XPRIZE launched the ANA Avatar XPRIZE, a $10 million, four-year global competition to develop a multi-purpose avatar system. The winning technology must enable an untrained operator to perform a variety of real-world tasks using the robotic avatar. What it is: Researchers at MIT have created “body-on-a-chip” technology to facilitate the testing of new drugs and identifying side effects before initiating human testing. Side effects are currently very hard to predict, as animals do not represent people in all facets, and even then is it difficult to detect effects across a system of organs. 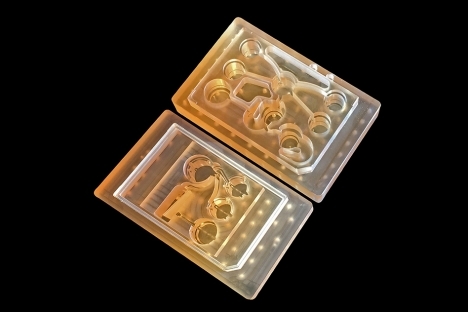 Using a microfluidic platform to connect tissues of up to 10 organs, researchers are now able to explore in real human tissues how a drug is absorbed, distributed, metabolized, and ultimately excreted through the entire system. What it is: SpaceX is planning to launch five Falcon 9 missions in a one-month period, according to dates submitted to the Cape Canaveral Air Force Station and Vandenberg Air Force Base. It's part of SpaceX's goal to launch 30 Falcon family launches in 2018. The first of five missions launches on March 29 with Iridium NEXT-5, carrying 10 Iridium NEXT satellites. What it is: Amazon Go, the cashier-free grocery store, has officially opened its doors to the public at its Seattle location. Shoppers check in using a QR code on the Amazon Go app, and are then free to pick items off the shelves and walk out. When MIT Technology Review visited the store, the single human worker was checking IDs near the beer and liquor section. What it is: Unless you’ve been living under a rock, Amazon seems to be taking over the world, going after healthcare, grocery and physical retail stores to add on to their enormous digital footprint. Just as or more importantly, Amazon is capitalizing on its success with AWS and Alexa businesses, turning itself into a platform that offers up things like AI-as-a-Service, gesture-based computing, and acquiring startups like genomics startup Grail, which marries its expertise in machine learning with its healthcare ambitions.